Burndy GAR Mechanical ground connector helps in connecting 4/0 - 3/0-AWG solid, 5 - 2/0-AWG stranded conductors to 1-1/2-Inch iron pipe, 1-5/8 - 1-7/8-Inch rod. 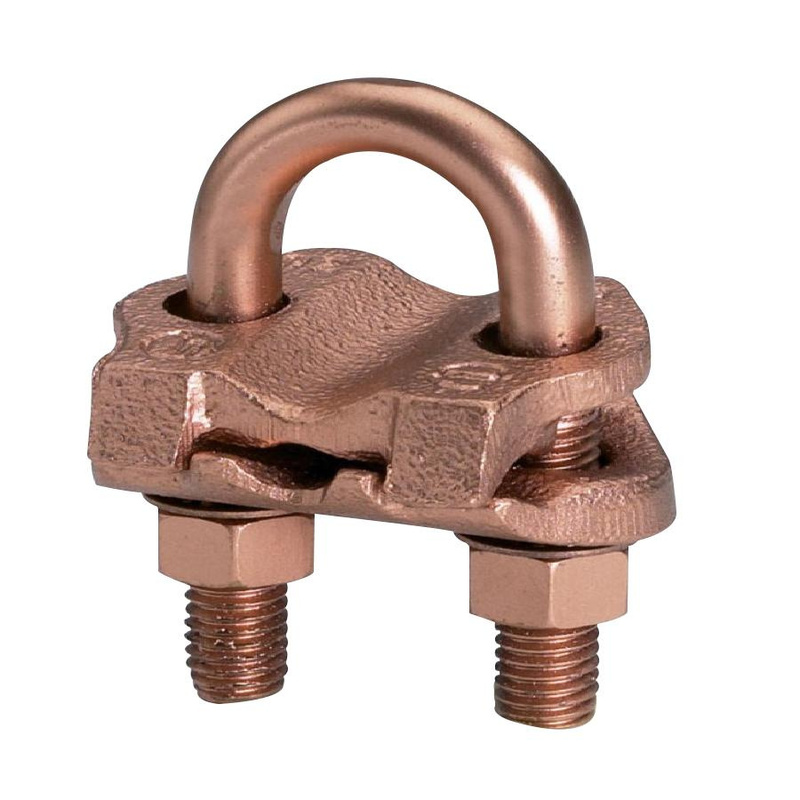 This connector in bright dipped plated finish, features high-copper alloy construction. It measures 3.25-Inch x 1.56-Inch x 4-Inch. This connector has stud of size 3/8-Inch. It allows to bury the entire connection in the ground or concrete without the danger of corrosion. This connector involves U-bolt to pipe/rod installation. Connector is UL listed and CSA certified.